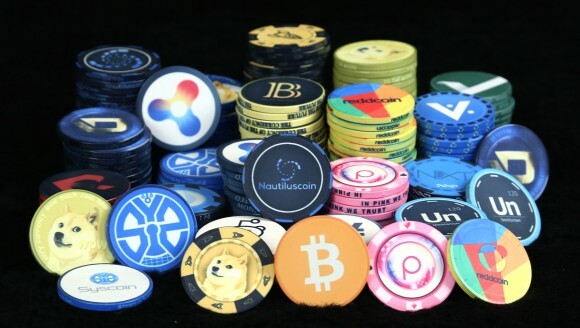 This is something interesting for poker lovers that also are into crypto currencies – high quality poker chips that are themed with popular crypto currencies. The crypto chips are with 39 mm diameter and have 10 gram weight with designs covering crypto currencies such as Bitcoin, Litecoin, Dash, Dogecoin, Monero, Feathercoin, Paycoin, Vertcoin and many others with over 50 styles available. They all come with ink injection printing and don’t use stickers, so you get a casino-like quality poker chips that are covered with crypto currency designs. Each chip costs $2.50 USD and you get free shipping within USA and shipping is available worldwide, payment can be made via Bitcoins, Litecoins, Dogecoins and few other alternative crypto currencies that are available.